By Law Offices of Lauren Abrams of Law Offices of Lauren Abrams on Sunday, March 4, 2012. 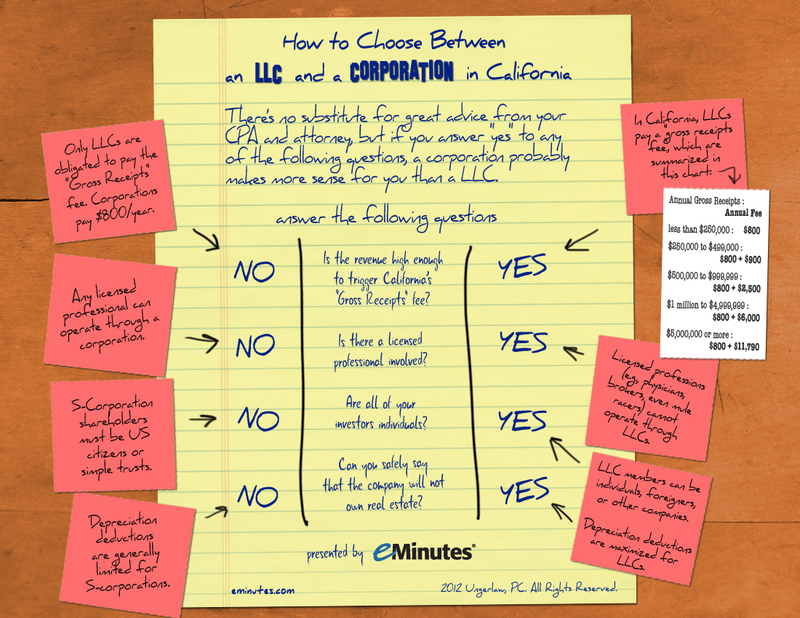 Many business owners are completely unaware of the differences between LLCs and corporations in California. Although they are virtually the same from a liability protection standpoint, both are extremely different from a tax standpoint. While a lawyer and/or CPA can help you evaluate the pros and cons between the two, in the meantime check out the following infographic from eMinutes provides some basic guidelines.